Staff Sgt. William R. "Billy" Wilson III of Getzville was laid to rest today at Elmlawn Cemetery in Tonawanda, following funeral services at The Chapel at Crosspoint in Amherst. Wilson, a seven-year military veteran, was killed by Afghan security forces March 26 at a police checkpoint. Wilson, 27, was one of three coalition troops to die that day in an escalation of anti-American sentiment in Afghanistan following a civilian massacre and the burning of Qurans at a U.S. base. During the services, Army Maj. Gen. Kurt Stein posthumously presented the Purple Heart and Bronze Star medals to Wilson's parents, William Junior and Kimberly Wilson. Wilson was a 2003 graduate of Williamsville North High School. He joined the Army in 2005. Longtime friends spoke of Wilson's zest for life, and concern for others. In a prepared statement, his parents offered their remembrances of Wilson's "easy smile, his disarming demeanor, his hearty laugh, and his contagious joy." A crowd estimated at about 1,000 attended the church service. Wilson was buried with full military honors at Elmlawn Cemetery in Tonawanda. More than a dozen volunteer fire trucks and other emergency vehicles joined the procession to his burial site, as Wilson was also once a junior volunteer firefighter. A soldier from Getzville was killed Monday in Afghanistan, allegedly by an ally in the Afghan police. 27-year-old Sgt. William Wilson III was one of three NATO soldiers killed by Afghan forces in separate incidents. 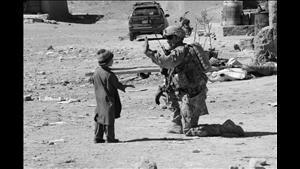 Reports say Wilson was shot Monday by an Afghan policeman at a police checkpoint in the eastern part of the country.